Last year, I was frozen in fear for over an hour after a spider with a body the size of a quarter appeared in my living room. My best friend stayed on the phone coaching me through the whole ordeal, but if what happened to this mom had happened to me… I can’t imagine what a mess I would be. 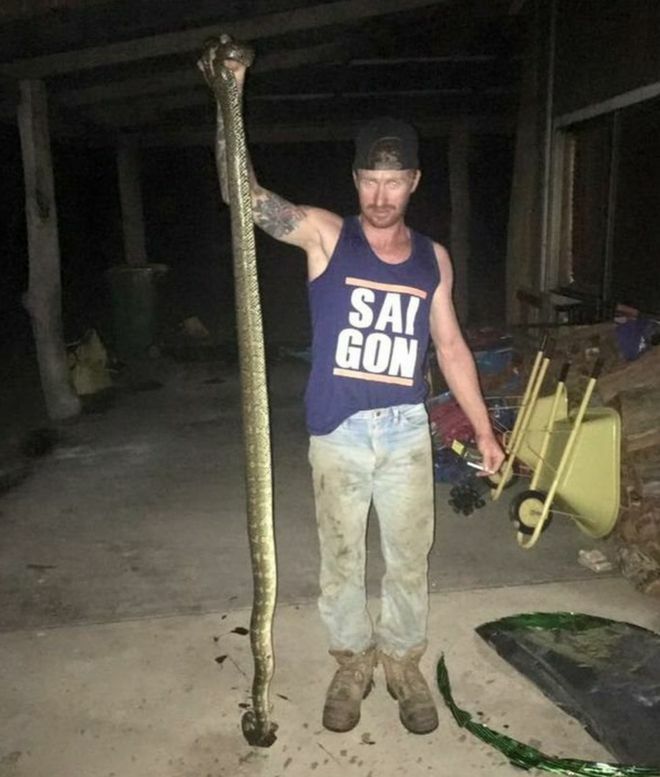 The six-year-old boy’s mother, Tamara, woke to Tyler’s blood-curdling screams after he was bitten several times on his face and hand by a three-metre long python. She ran into the room and ripped the snake off her son’s body after the reptile managed to slither into their Eungai Rail home. “It was like a nightmare,” Tamara told the Guardian. “It was a terrifying scream and I didn’t know what had happened – I certainly didn’t think it involved a snake. When Tamara entered the bedroom she said the snake was wrapped around her son’s belly. “I tried to pull Tyler from the bed but but he didn’t come with me … I had to roll him, then pull,” she said. “I saw his face and the blood and his eyes were still closed so I don’t think he was fully awake. Within five minutes Tamara’s cousins arrived at the property and “dealt with the snake” while Tamara drove to Macksville Hospital. Mom later said that the best part of all of this is that her small boy doesn’t remember any of it. 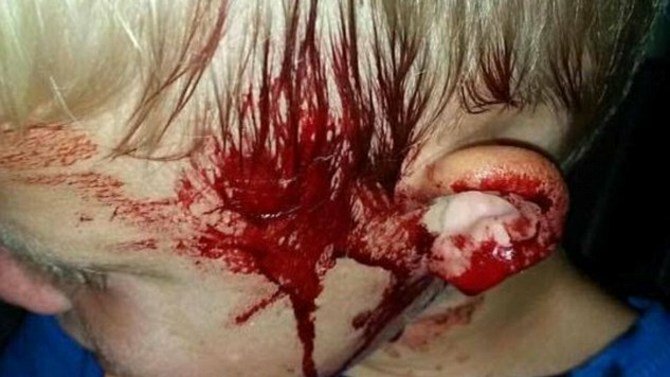 On the way to the hospital, he complained of his finger hurting and asking why he was bleeding. As a mom, I too would be relieved that my kid didn’t remember. But if I were that mom, I would be having nightmares for a very, very long time. I need to go shower and give myself a mental bath… gross!